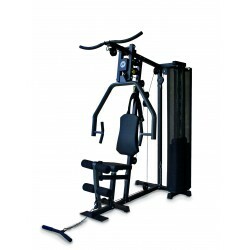 The construction of the Horizon multi-gym Torus 1 is an ideal beginner multi-gym for the training at home. Thanks to its small required space of approx. 2 square metres and a low height of 202 cm, it can also be placed in small rooms with low ceilings. Five exercising modules offer sufficient possibilities to do a complete whole body training at home. Horizon multi-gym Torus 1 add to comparison list.